Webist Solutions, a new game changer in Malaysia digital marketing industry had its inauguration ceremony in Kuala Lumpur recently. 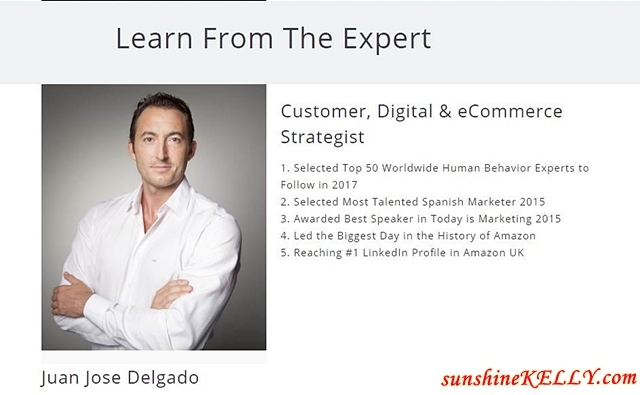 The ceremony also featured a live preview of the Master Class “Design a Disruptive Marketing Plan Like A Pro” by Juan Jose Delgado, the former Head of Marketing of Amazon and celebrated expert in digital marketing. In the nutshell, WeBist Solutions Sdn Bhd, based in Kuala Lumpur and Penang is specialized in digital marketing like Search Engine Marketing, Search Engine Optimization, Social Media Marketing, Web design and etc. to help businesses on generating more leads and improve their performance. According to Dr Zyro Wong, the advisor of Webist Solutions, going digital is an inevitable trend today. It’s his aspiration not only to devise new strategies for Malaysian businesses to excel in the international arena but also to educate the public on the changing trends and dynamics in the digital world. The guest of honour, Puan Sri Susan Cheah, expressed her high hopes for the establishment to drive new digital trends in Malaysia. At the launch of Webist Solution, the three founders Mr Bryan, Mr Chris and Mr Johnson also shared their views on digital marketing in the open forum. The highlights were on how Webist Solutions is distinctive in holding many more international events in the near future, on top of offering their principal services. As mentioned earlier, during the event we also had a preview of Webist Solution upcoming Master Class “Design a Disruptive Marketing Plan Like a Pro” by Juan Jose Delgado, former Head of Marketing of Amazon on 2nd of August 2017 at Sunway Putra Hotel, Kuala Lumpur. During the 1 day master class, Juan Jose will shared his knowledge and experience of effective digital marketing strategies that are pivotal to businesses in the local context. After this master class, you will be able to adopt a digital marketing plan like a pro, leverage on the new ecommerce ecosystem and how to make the best of it and many more. After going through the preview I’m excited to learn more about digital marketing of today and apply it in my work and website as well. Congratulations to Webist Solutions on your inauguration ceremony! Overall, I had a great time and also picked up some tips and knowledge about digital marketing. Would be great if I can enhanced it through the Master Class. 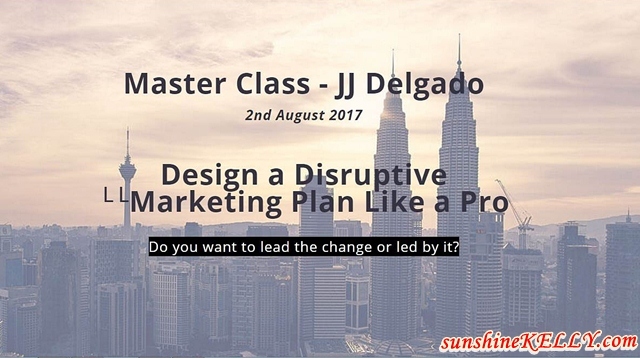 Master Class “Design a Disruptive Marketing Plan Like a Pro” by Juan Jose Delgado on 2nd of August 2017 at Sunway Putra Hotel, Kuala Lumpur. Exclusive for early birds tickets will be offered at special rates on a first come first serve basis. Gold Tickets at RM1247 and VIP tickets at RM2497. Share sikit la information and the strategy, boleh? Hehe. You lucky bunch to have the chance to attend such great information session. what a great event and you're lucky to be there ! This is seriously a very important sources for us who are trying to build our platform. Will surely check their services out soon. For now it looks promising! Congratulations for this launch. Hope soon they could open office here in Manila.